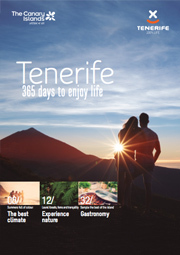 This 6 day package is focused on exploring the fine details of Tenerife North. From the time when you arrive at your resort, you’ll be able to immerse yourself in the island’s national beauty, distinctive landscapes and terrain, Canarian culture and activities. Enjoy superb food and world famous wines, the perfect climate, and unique adventures via a jeep tour and a cable car ride to the summit of a volcano. Arrive at Tenerife North where you’ll be met by official guide and private transportation. Once you check into the hotel, the rest of the evening is yours to enjoy. At the full day jeep safari Masca in Tenerife, starting in Puerto de la Cruz (north), you can get to know the island very well. The Masca jeep safari leads you among others also to Icod de Alto, La Corona, Garachico, Santiago del Teide and the famous dragon tree in Icod de los Vinos. Today is yours to enjoy however you wish! You may want to check out your hotel’s spa, gym, or perhaps spend the afternoon shopping. You'll enjoy the beautiful sunset overlooking the other Canary Islands and can stop to take memorable photos at a few of Mt. Teide’s stunning vistas. The days is yours to enjoy! You're welcome to opt for an optional day trip to Loro Parque, a world-class attraction that was originally intended to be a refuge for parrots. Today, the park houses an immense diversity of animal species, integrated amidst palm trees and other exotic plants. Its commitment to conservation and sustainability has made Loro Parque one of the most recognized zoos in the world, boosting over 44 million visitors since its gates first opened in 1972.